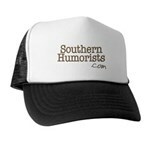 Southern Humorists - Rhubarb - It isn't just for Yankees anymore! RHUBARB: It isn't just for Yankees anymore! "Don't get me wrong. I don't even want a single bite!" "About once a month or so a rhubarb concoction is listed on the menu. So far, there has always been a substitution for this communist plant sent from the Volga River to poison America. Since it is a Yankee plant that can grow in only the northern tier of states, it is seldom seen in the South - even in exclusive groceries." "The first (and last) time I tasted rhubarb was in 1960 when it ruined a wonderful meal of live lobster flown in from Maine. Well, they weren't alive when we ate them. The dessert was a rhubarb pie. With the first bite, I had to grab both sides of my chair and bear down to suppress the gag reflex. Being a guest I felt I had to eat it all. Bite, grab, gag, bite, grab, gag." "Just as I forced down the last bite, the hostess noticed the flushing of my face and copious glow from my forehead running down my cheeks." "’Oh, you didn't have to eat that.’ Now, she told me!" "Big surprise! The geniuses in Oregon don't realize that Washington and Oregon produce 75% of the commercial rhubarb in the USA. So, they keep ordering all 400 facilities to serve an impossible dish." Renowned rhubarb supporter, Emery Campbell, thumbed through his recipe book and thoughtfully presented his viewpoint about the controversial vegetable. "It seems to me that you are unjustly maligning rhubarb. And, furthermore, the supermarkets where I live in Lawrenceville, GA, always stock rhubarb in season." "As for eating rhubarb, it depends on how you prepare it. Here is a recipe for rhubarb crisp, a dish that tastes like pure ambrosia. Try it. I guarantee you will love it." Soak rhubarb in ¾ cup sugar for one hour. Preheat oven to 375 degrees F. Turn rhubarb into a large bowl and add remaining sugar. Mix well. Add flour and mix again. If mixture remains too soupy, add flour to thicken. Butter a 2 1/2-quart gratin dish and pour in rhubarb mixture. Sprinkle with topping. Place dish in middle rack of oven and bake for one hour, until rhubarb is tender, juices are bubbling, and topping is crisp. In a food processor combine flour, butter, and cinnamon. Pulse until large crumbs form, about 20 seconds. (If you don’t have a food processor, rub butter into flour and cinnamon until large crumbs form). Pour into a bowl and add oatmeal and sugar. Crumble with fingers until well combined. Thomas Lynn, denied any involvement with rhubarb, and called in his comments via cell phone. "The only rhubarb I know in Lawrenceville is that country DJ on eagle 105.7. As for pies, I prefer cherry, or sweet tater." The recipe for rhubarb crisp sounded extremely risky to Sheila Moss, who is so naive she can’t even spell it much less understand it. "What's rhubarb? Could it possibly be better than pecan pie or coconut cream pie? It definitely sounds dangerously Yankee to me. Wash out your mouth, Emery! And with all the homegrown peaches you have in Georgia too." Bayou Bill Fullerton climbed to the Southern Humorists’ soapbox and used a megaphone to enlighten the crowd on the history of rhubarb. "Not meaning to sound like a dweb, but Rhubarb is a native plant of Asia and will grow in warm climates. Before sugar became cheap, the main use for it in Europe was as a strong laxative." "During one of the first confrontations between the Manchu's and the British, the Chinese threatened to cut off shipment of rhubarb. They reasoned the corked-up English, disparate for relief, would be forced to yield." "It didn't work. And to quote Dave Barry, ‘No, I'm not making that up.’"
Sheila broke under the stress and publicly admitted she knew nothing about rhubarb. "Maybe I'm thinking of mincemeat pie. I never know what that is either. But a laxative pie does not sound too yummy to me." Bill Fullerton added a bit of valuable inside information about the world of rhubarb from undisclosed sources. "I’m on board with you when it comes to mincemeat. Best I recall it contains raisins, grated apples, nutmeg, and who knows what else? It has a taste sort of like fruit cake." "Just to relieve your mind a bit, I did a little looking around into the fascinatin' world of rhubarb. I wasn't aware of this, but there are four varieties. One of them is mainly for eating while a different variety focuses on the other end of the nutritional process." Emery displayed his fresh-from-the-oven rhubarb crisp while continuing his attempts to explain its mystic properties. "Rhubarb crisp is not a pie. It's more like, let's say rhubarb pie filling, but not in pie crust. Instead it has a layer of crispy cinnamon-flavored crumble over the top. It is deeeeelicious!" Cathy Gregor, who later tested positive for rhubarb mania, was unable to control herself and snatched up the rhubarb crisp and ate the whole thing. "Rhubarb is in my garden and it is delicious, the first cutting of the stalks are the sweetest and the best, I have dozens of recipes for it and by the way, thanks for another recipe Emery." Without sufficient cause to hold him after Cathy ate the evidence, Asa is expected to be released soon. However, he issued a final warning revealing the dangers of rhubarb hysteria. "Kroger's must have learned of my rhubarb crisis and recruited about ten spears to hide behind the Boy Choy. I feel like they are stalking me." Emery, learning that Kroger’s was now dealing in rhubarb, pulled out his trusty recipe book again and made Oatmeal Crisp out of the entire produce section at Kroger’s. Funny, it tasted just like mincemeat. Contributors: Emery Campbell, Bill Fullerton, Cathy Gregor, Sheila Moss, Asa Sparks and Thomas Lynn (who wishes to remain anonymous).